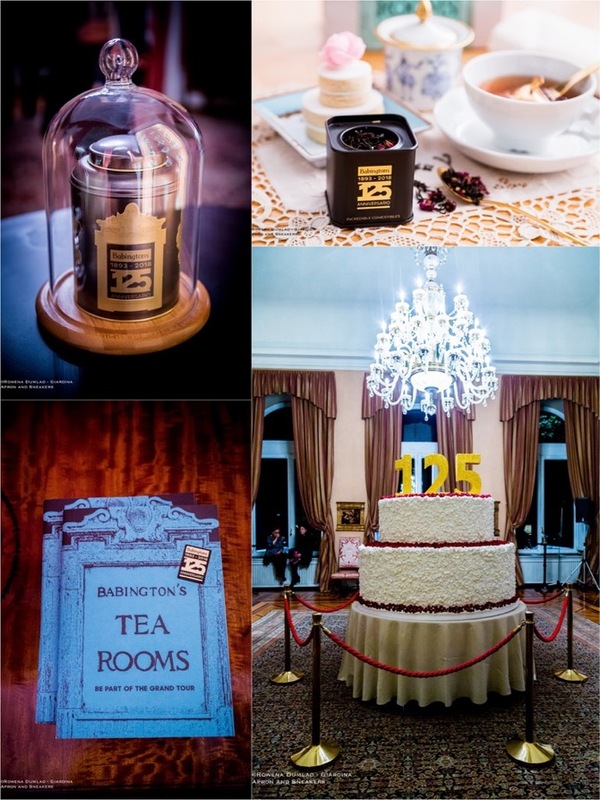 In the morning of the 25th of January, I opened the Babingtons Tea Room gift bag that I received the night before. 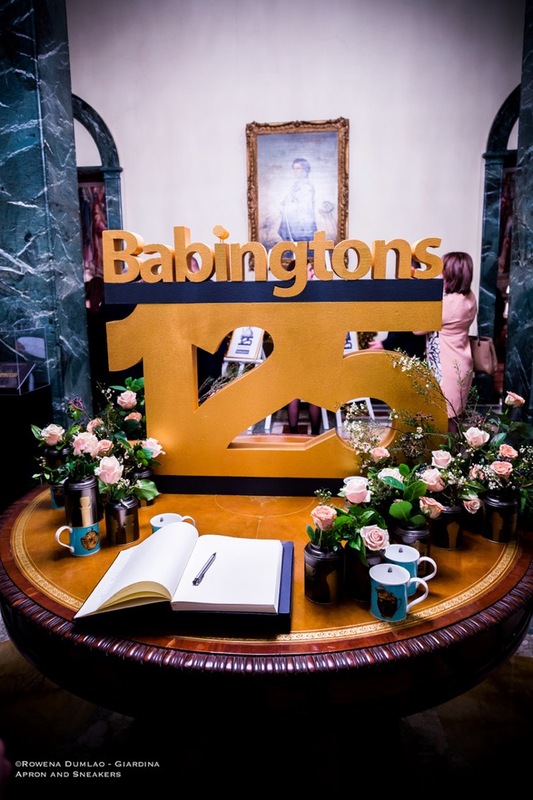 Going through the black paper lining, I fished a black shopping tote pouch, a bookmark, a mini version of the two-tier cake of the party, and the best part, a small black canister containing the Babingtons 125 Anniversary Blend. I tried the special tea the previous night, cold, in a cocktail glass that was mixed with gin. You would rarely see me choosing cocktails over sparkling wine but that night, the refreshing tea cocktail just won me over. 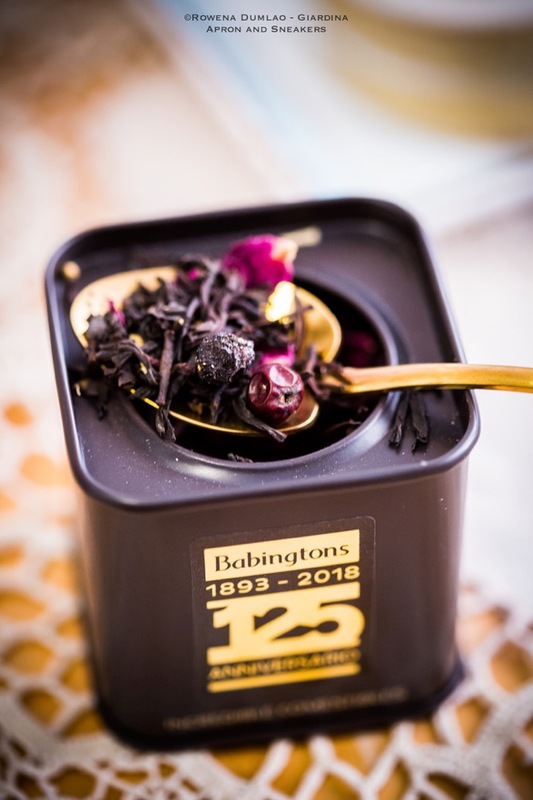 Babingtons 125 Anniversary Blend is a delicate, inebriating tea blend of black tea base, vanilla, honey, elderflower, rose petals, blueberries, juniper berries and lemon myrtle leaves. This is available in the shop in an air tight canister at €35. It was created to celebrate the dream that became history. Two English women, Isabel Cargill and Anna Maria Babington brought together England and Italy in a tea room in Piazza di Spagna. 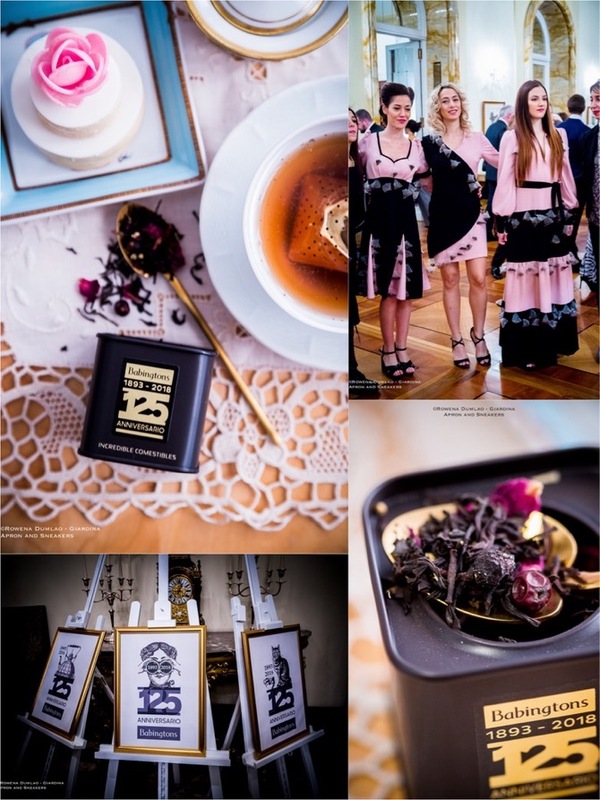 The story of love for tea started pouring in dainty porcelain cups in 1893, survived two world wars, economic and political crises and in 2018, the remaining heirs, Isabel Cargill's great-grandchildren Chiara Bedini and Rory Bruce continue what the two ladies have pioneered. Being a momentous occasion for the UK and Italy, the anniversary party was held at the prestigious Villa Wolkonsky, the official residence of the British Ambassador to Italy in which the Ambassador Jill Morris officiated along with Chiara Bedini and Rory Bruce. Historically, Villa Wolkonsky was the official residence of the Russian princess Zenaǐde Wolkonsky in the 1830s. In the 1920s, it passed on to Germany and became the Embassy and the official residence of the German Ambassador to Italy. When 1951 came, the villa was purchased by the British government and it officially became the residence of the British Ambassadors to Italy. 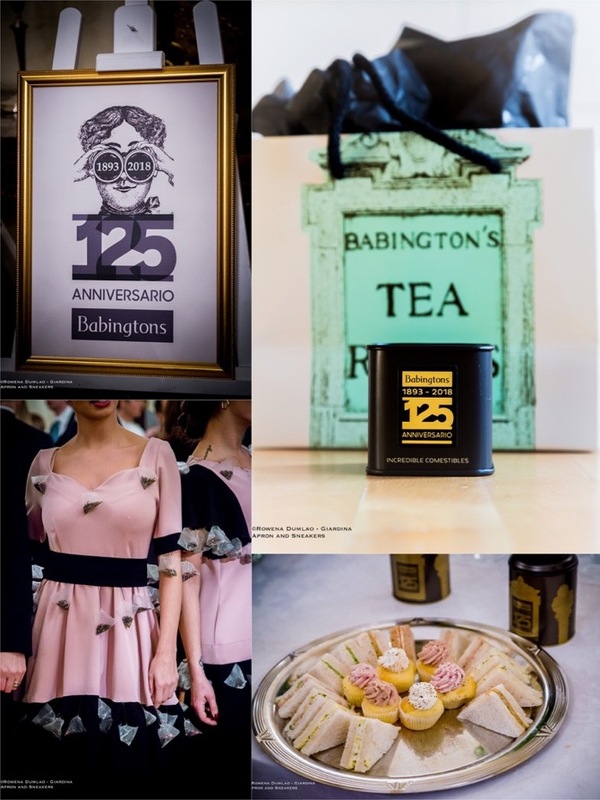 To focalize on such a milestone, Babingtons Tea Room will be continuing the festivities and special events throughout the year and conclude on the 5th of December 2018, exactly on the day when Isabel Cargill and Anna Maria Babington opened the tea room in its first location at Via Due Macelli in Rome before moving to Piazza di Spagna. 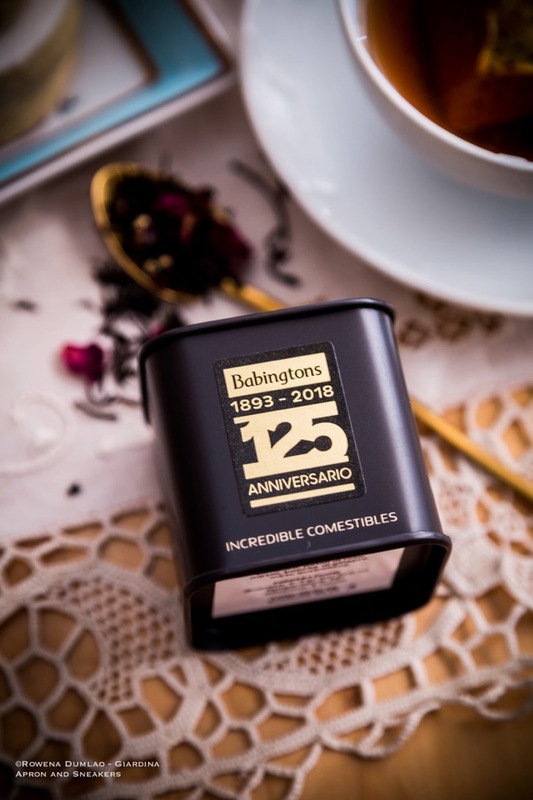 Take part in its history by visiting their tea room at the foot of the Spanish Steps and see, smell and taste for yourself the amazing tea blends that four generations of Babingtons have offered to its guests. To get to know them more, here is my past blog post about Babingtons Tea Room.